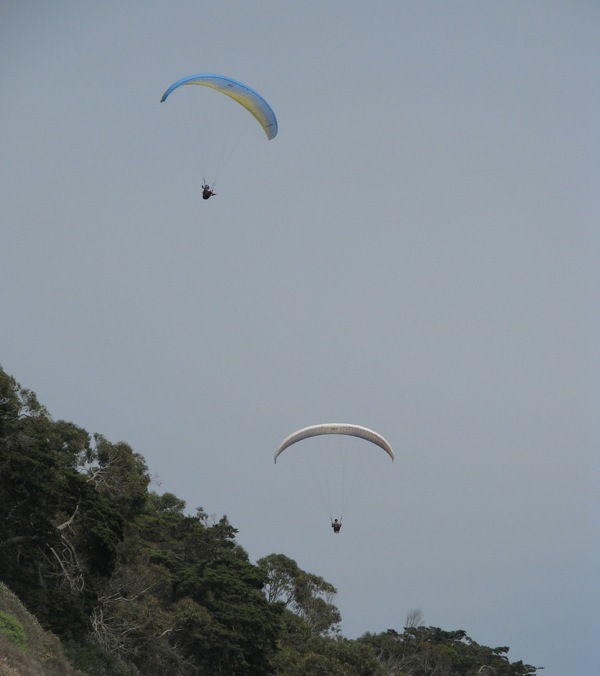 Hang gliders off cliff above burro beach. Dolphins arch through the ocean; behind them, 20 miles out in the Pacific Ocean, the Channel Islands rising in a bluish/purple blur. Closer to where I stand, dogs crash into the surf, beneath cliffs where hang-gliders float. But these things mark almost every visit I’ve ever made to Santa Barbara’s Arroyo Burro Beach, a place I’ve visited annually since two of my best friends had the good sense to mWhat draws my eyes instead are a mass of young people in dark blue t-shirts, gathered above the steps that descend to the beach, listening to a woman shout instructions. Puzzled, I edge closer, study the t-shirts. 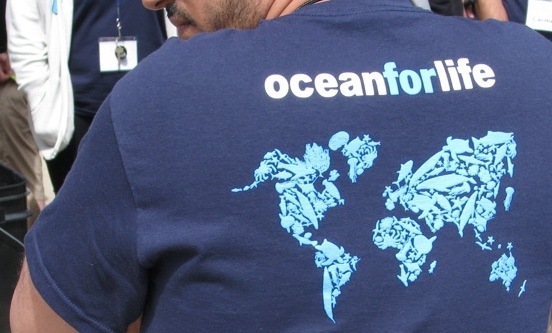 Ocean For Life, they tell me. My friend arrives and we visit over a drink, but when I see the same group sectioning off the beach, my curiosity remains. I approach a lanky college-age man, ask what they are doing. For the moment, I’m less interested in the mole crabs than the young people – who are decidedly un-mole-like. It’s a mixed group of 30 high school students from the Middle East and the United States – and, like many forces for good in this world, it has its roots in tragedy. Three victims of the Sept. 11, 2001 Pentagon plane crash were three District of Columbia high school students, three of their teachers and two National Geographic staff members, all of whom thought they were on their way to this idyllic stretch of California coast. 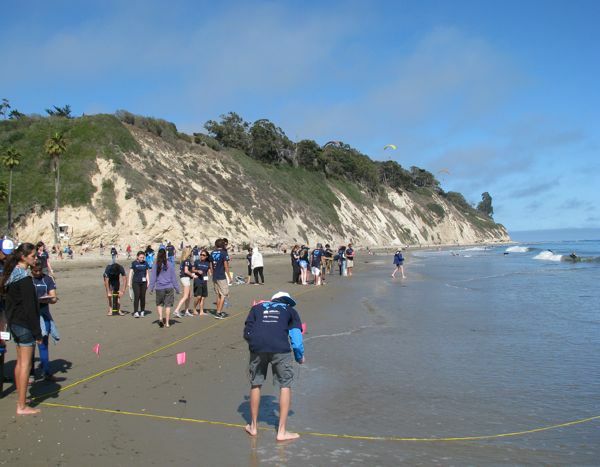 Three years later, Ocean for Life sent its first group of students here to the Channel Islands National Marine Sanctuary – with the goal of affirming our sense of connection to both the sea and to other human beings. Nine years later, the group I beheld included 15 students from all over the U.S. – and 15 Middle Eastern students representing Bahrain, Egypt, Lebanon, Pakistan, Qatar, Saudi Arabia, and Oman. The entities sponsoring the program were similarly diverse. Sectioning off beach before digging core samples.